Depending on how much unprotected sun exposure you've had, fine lines and wrinkles can start showing up as early as your mid-twenties! Sunscreen or greater applied on a daily basis is the only way to reduce the risk of early signs of ageing. This piece of advice you can take to the bank, it’s that valuable. Cumulative sun damage from not wearing sun protection every day, not seeking shade, and basking in sunlight with or without sun protection. Most experts would say this cause 80% of what we think of as skin ageing, when it’s really sun ageing. The lighter your skin colour, the more vulnerable it is to serious sun damage when you aren’t wearing sunscreen. However, regardless of your skin colour, unprotected sun exposure is still putting your skin at risk. Darker skin tones need sunscreen too! Every birthday marks the passing of another year and it actually has a technical term associated with it: chronological ageing. Those years add up, a part of life even great skincare products and sunscreen can’t delay forever. Great skincare and sun protection can do a lot, but being realistic and dealing with facts is the best skin care recipe for everyone: As you get older, you will see more natural signs of ageing that cannot be controlled or stopped. Disruption of skin's surface and its vital contents by years of using products that contain sensitising ingredients or bad skincare habits. This includes smoking, which is absolutely terrible for skin at any age. Sunscreen is the #1 anti-ageing product you can apply, and should be applying, every day (but you already knew we were going to say that right?). Protecting skin from UV light exposure needs to be at the top of any anti-ageing skin care routine. And you can’t start to early: Daily use of broad spectrum sunscreen can absolutely reduce the risk of early signs of ageing! 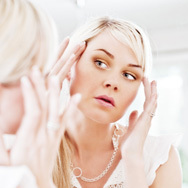 Skipping this step in favour of only using other anti-ageing products is a skincare mistake that many people make. Repeat after us: Looking younger begins with consistent use of a broad spectrum sunscreen all year long, no matter the climate or whether you spend time outside. Brilliant skincare products support the benefits you get from sunscreen; you need both, inextricably tied, to get the best skin of your life now and in the future. When it comes to what supporting anti-ageing skincare products to choose or when it comes to solving any skin concern, it’s never as simple as what one ingredient or product can provide! That’s why in addition to sunscreen, research shows that the best defense is a gentle, complete skincare routine enriched with antioxidants, skin- replenishing ingredients, skin-soothing ingredients, and skin- restoring ingredients. The best products and skincare routines consistently and unfailingly provide these kinds of ingredients just as we do at Paula’s Choice. Specialty products that contain ingredients proven to address specific signs of ageing. These include high concentrations of vitamin C-, retinol-, hyaluronic acid-, and niacinamide-based formulas. You can also use peptide-infused products to help visibly firm skin and smooth the appearance of wrinkles. Carefully chosen skincare products that include lots of antioxidants, replenishing ingredients and skin-restoring ingredients can put back into skin’s surface what it has lost over time. These types of ingredients in a complete advanced skin care routine like can truly rejuvenate and revitalise your skin, making wrinkles much less of a visible concern. This is the best way to love your skin and resist the effects of time!